Dr. Reinhard Rauball was unanimously re-elected League President for a further three-years. 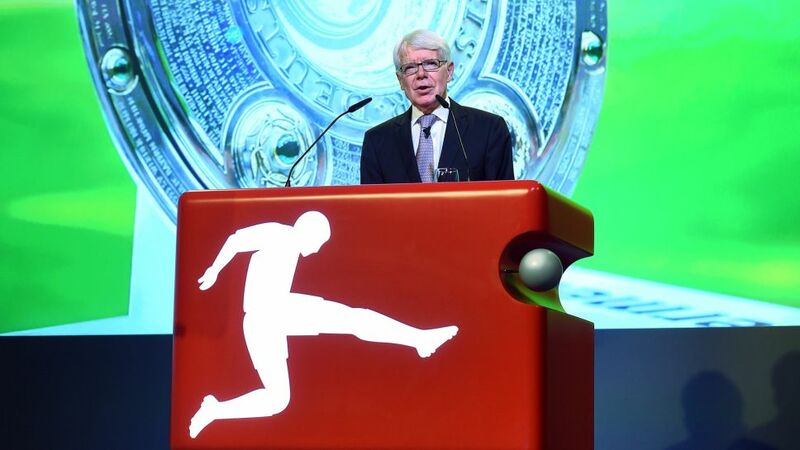 At Wednesday’s general assembly of the League Association (Ligaverband), the 36 Bundesliga and Bundesliga 2 clubs unanimously re-elected Dr. Reinhard Rauball League President for a further three-year office. In addition to his role as President of Borussia Dortmund, the 69-year old has held this position since 2007 and has now been elected to this office for the fourth time. Peter Peters (FC Schalke 04) was also unanimously re-elected as first Vice President in the absence of any other candidates. As a replacement for Harald Strutz, who had decided not to stand for election again, Helmut Hack (SpVgg Greuther Fürth) was elected as the new second Vice President. The other members of the nine-strong League Association board include Jan-Christian Dreesen (FC Bayern Munich), Klaus Filbry (SV Werder Bremen), Michael Meeske (1. FC Nürnberg) and Soeren Oliver Voigt (Eintracht Braunschweig) as well as managing directors Christian Seifert and Ansgar Schwenken as representatives of the DFL Deutsche Fußball Liga (German Football League). Jan-Christian Dreesen, Michael Meeske and Soeren Oliver Voigt were appointed to the board for the first time. Elections for the DFL supervisory board were also held at the ordinary general assembly. Under the bylaws, Dr. Reinhard Rauball in his capacity as League President and Peter Peters as the 1st Vice President act as chairman and deputy chairman, respectively, of the supervisory board. In addition, Stephan Schippers (Borussia Mönchengladbach), Fritz Keller (Sport-Club Freiburg), Ingo Schiller (Hertha BSC) and Robert Schäfer (Fortuna Düsseldorf) were elected to the supervisory board.